Urban chic fills each corner of the ultra hip North Downtown (NoDo) Entertainment District. The heart of NoDo is the mixed-use Saddlecreek Development with an array of activities. See your favorite indie rock band at The Slowdown, one of the nation&apos;s hottest venues. Catch a first-run independent film or documentary at the intimate cinema arthouse, Film Streams at Ruth Sokolof Theater. With Academy Award winner, Alexander Payne on the board of directors, Film Streams showcases film as an art form seven days a week. Witness cutting-edge art, in a unique warehouse atmosphere at Hot Shops Art Center. Grab a great cup of coffee at Omaha&apos;s own Blue Line Coffee. Live music and sporting events create an electrifying atmosphere at TD Ameritrade Park Omaha, home of the NCAA Men&apos;s College World Series. 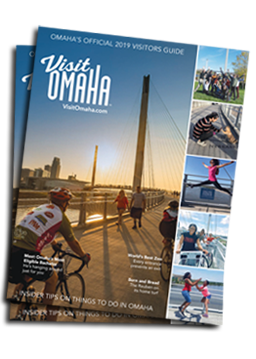 The award-winning CHI Health Center Omaha attracts big name artists, making Omaha is a key tour stop. The party continues at DJ&apos;s Dugout and Nosh Wine Lounge in the growing Capitol District. The Hilton Omaha, Omaha Marriott Downtown At The Capitol District, Homewood Suites, Hampton Inn, Holiday Inn Downtown and Fairfield Inn are all just a short walk away from the North Downtown Entertainment District.